THE DAITORYU is believed to have originated within the family of Emperor Seiwa (reigned a.d. 858876) and to have been greatly developed by one of the emperor's descendants, Shinra Saburo Minamoto no Yoshimitsu, in the eleventh century. Through his careful study of human anatomy—he made a point of visiting battlefields and execution grounds to examine and dissect the bodies of war dead and executed criminals—Yoshimitsu determined which were the most effective strikes, blows, holds, joint locks, and pins. To fathom the mysteries of aiki, or harmonized energy, Yoshimitsu spent hours observing a female spider trapping prey in her web. Furthermore, he was a talented musician, and while accompanying dancers on his sho (a type of wind instrument), he gained insight into the nature of good rhythm and smooth transition between movements. Yoshimitsu incorporated all of this knowledge into the martial art he had been taught by family members and then passed on to his sons this improved and expanded system—which came to be known as the "Daitoryu," after the name of one of his residences. 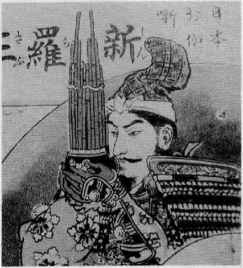 Samurai commander Shinra Saburo Minamoto no Yoshimitsu playing the sho. present-day Fukushima Prefecture). 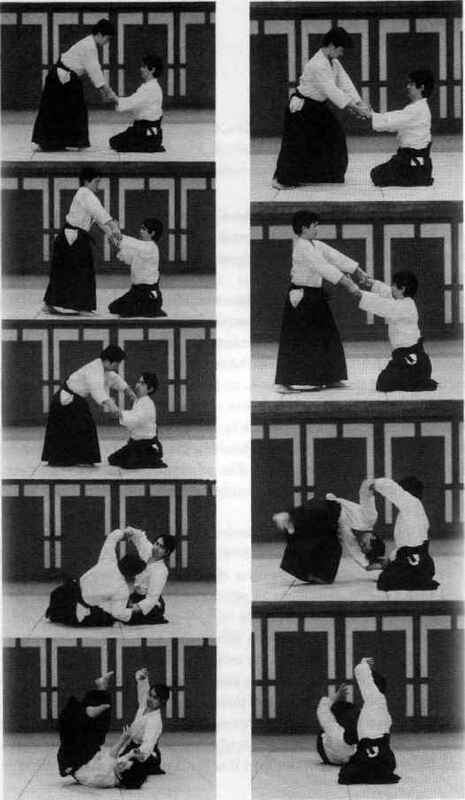 There the martial art system became known as o-shiki-uchi, or "practice in the room," and alternatively as an o-tome-bujutsu, or "inside-the-clan martial art"; both these terms are thought to suggest the great secrecy with which the Daitoryu techniques were guarded. The art was secretly transmitted to the samurai of the Aizu domain until the Call of the Shogunate in 1868. \ i' Vjl^^l occasional forays to Tokyo and western Japan. In the course of his travels, Sokaku defeated all challengers. It is said that thirty thousand martial artists received instruction at Sokaku's hands. 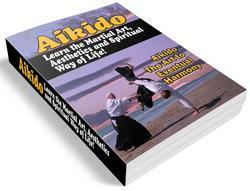 Of this vast number, only twenty or so received formal teaching licenses from the Daitoryu Grand Master. Several of Sokaku's students themselves became extremely distinguished teachers. Another early student of the Daitoryu was Kodo Horikawa (1895-1980). 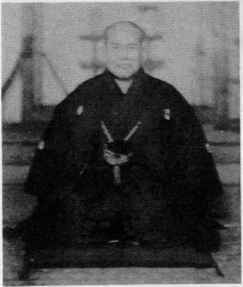 Horikawa began his training in Daitoryu under his father, one of Sokaku's first students, and then with the Grand Master himself. Horikawa lived all his life in Hokkaido's Kitami district, where he disseminated the Daitoryu teachings. He had many excellent students, the foremost of whom is Seigo Okamoto (1925-). Hisa-style Daitoryu in the Kansai region. Tokimune Takeda (1916-1993), Sokaku's second son, established a Daitoryu aiki budd headquarters in Abashiri, Hokkaido in 1953, subsequently assuming leadership of the Daitoryu tradition. In this role, Tokimune established an archive for Daito-ryu-related material, codified all of the Daitoryu techniques, and established branch dojo throughout Japan. 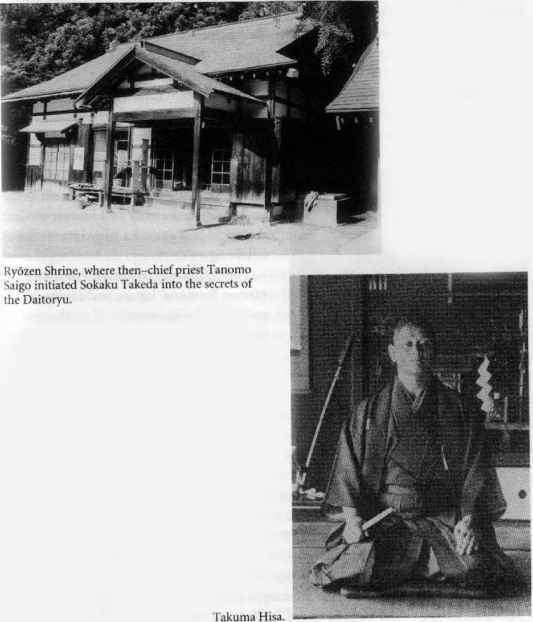 Tokimune Takeda's principal student, Katsuyuki Kondo (1945—), is active promoting Daitoryu aiki budo in the Tokyo area. Morihei Ueshiba (1883-1969) was Sokaku's most famous student. 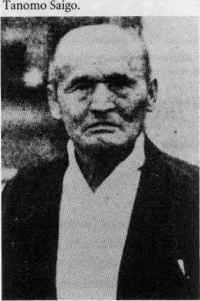 Morihei first met Sokaku in 1915 in Hokkaido, and trained under him until 1922, when Morihei in turn was licensed to teach. Under the influence of Onisaburo Deguchi (1871— 1948), charismatic leader of the Omoto-kyo religion, Morihei adopted and simplified the Daitoryu techniques and added a prominent spiritual dimension to create the art of Aikido—which in recent years has become extremely well known around the world and gained a large international following. The Daitoryu tradition continues in various forms in Japan, and its teachings are slowly being introduced to the rest of the world.